Fashionable fabric feel. 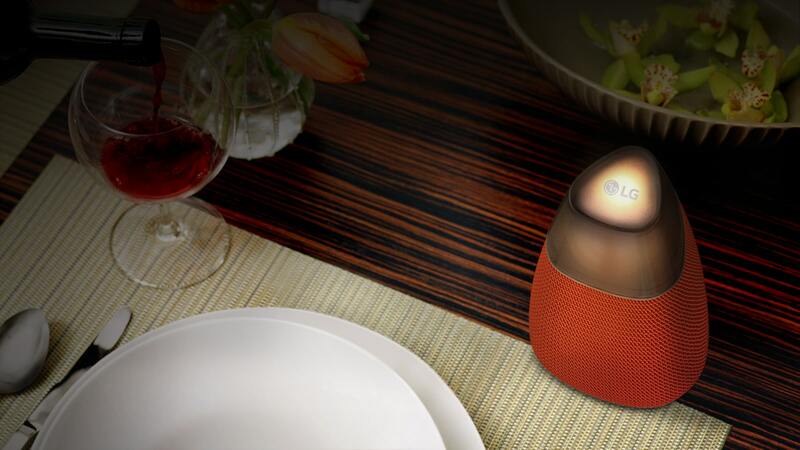 This speaker comes in a variety of contemporary designs which will stylishly suit any room in your home. 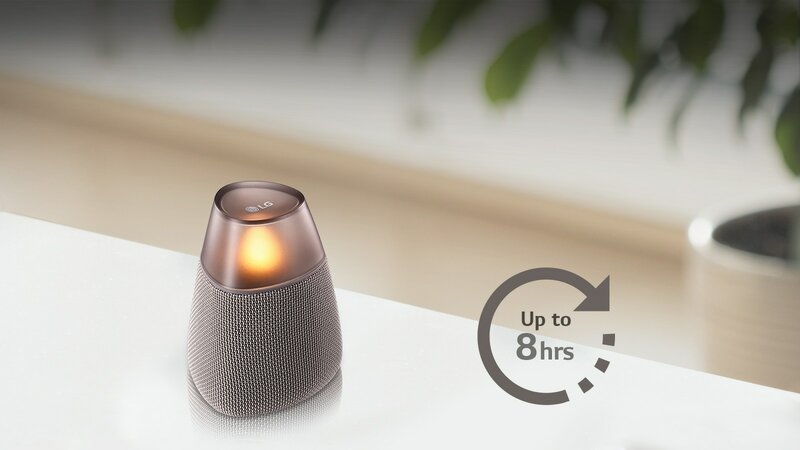 A unique candle-like ambient light is the perfect match to your music, with five colour choices available you have illuminated music that fills the room. The full circle sound experience. 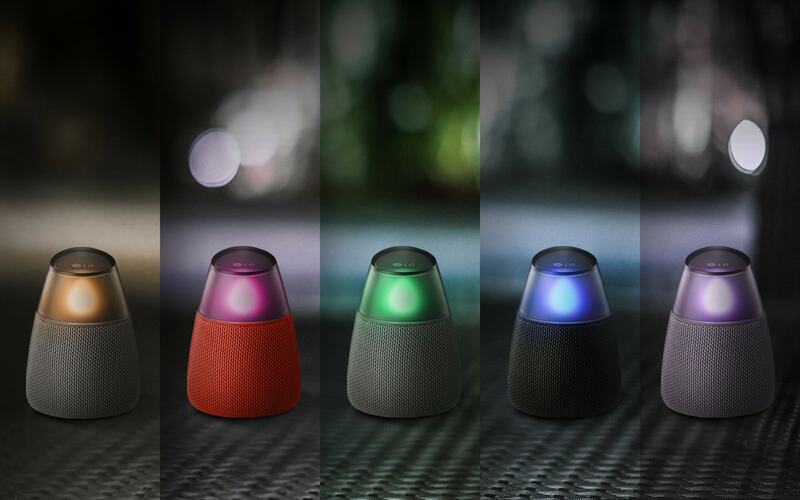 An innovative speaker design emits sound from all angles ensuring even, authentic sound can be heard wherever you are in the room. Super charged tunes. A rechargeable battery gives you up to eight hours of music at a time* meaning your tracks and songs can always be heard, wherever you are. *Battery life may vary depending on music output volume. 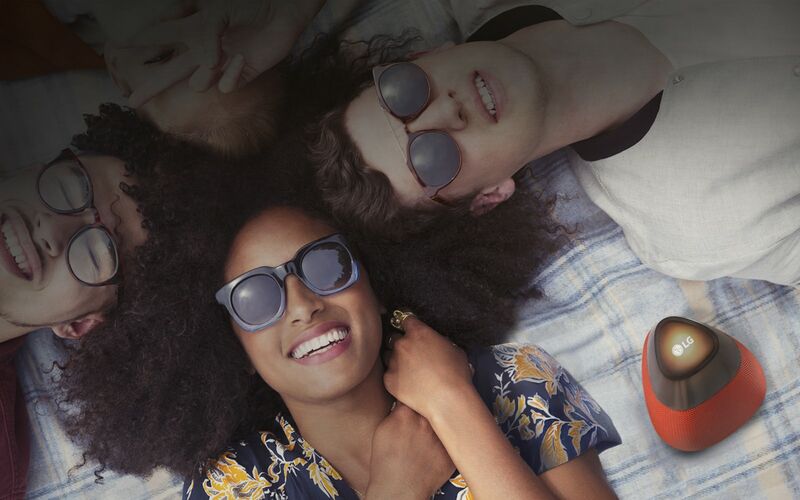 Connect to the music that matters. 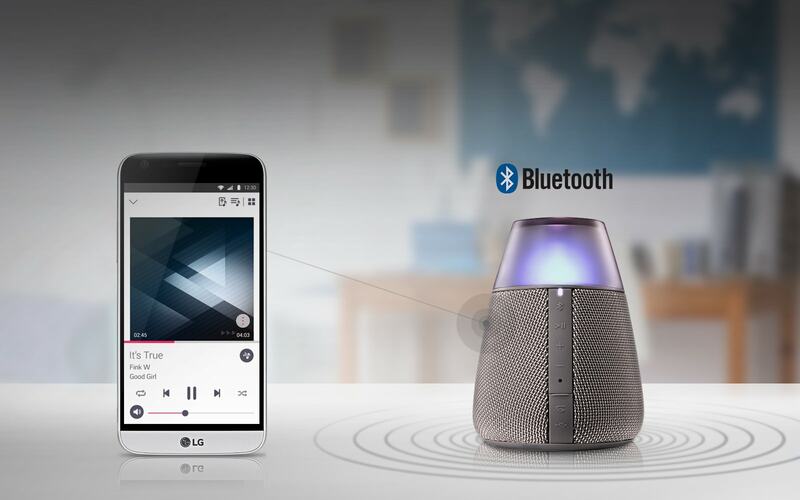 Bluetooth technology allows you to link a Smartphone or Bluetooth enabled device to your LG wireless audio speaker easily and wirelessly. 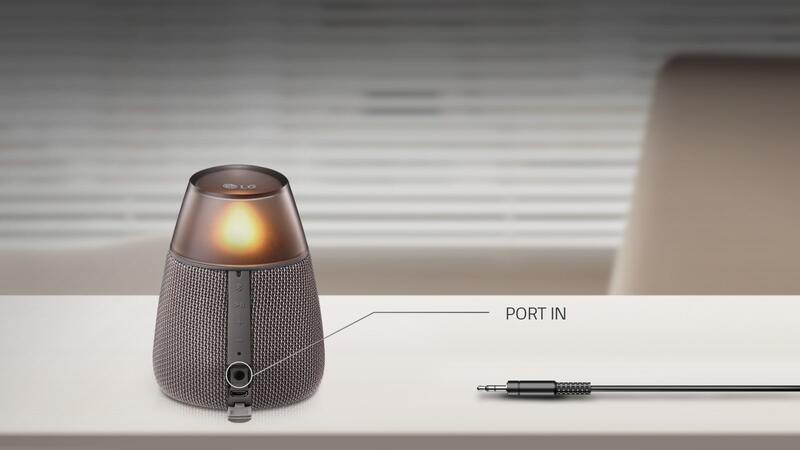 Simply plug in via 3.5mm jack and play your favourite tracks from your Smartphone or mobile device on your wireless audio speaker with AUX connectivity. Battery Charging Time 4 Hrs 30 Min.